Sited in a historic downtown business district adjacent to the nationally registered Madison County Courthouse, this facility has been designed to contextually relate to the existing streetscape of local buildings and businesses. Working closely with the area historical society and downtown development department, Schorr Architects, Inc.’s use of exterior materials, detailing and scale all complement the existing environment. Master planning for future expansion of the project includes a lower level and second floor; both of which may eventually provide for additional county offices, courtrooms, storage and other public uses as necessitated by the community. The immediate program to provide municipal and magistrate courtrooms, private judge and magistrate chambers, clerk of courts/probation offices, security/conferencing rooms, and secured prisoner holding areas have all been provided in the first phase, 13,652 square foot build-out at the facility. Local law enforcement’s need for separately-secured public and private entrances has also been accommodated with access control and monitoring technology to ensure the safety of the county staff and community. 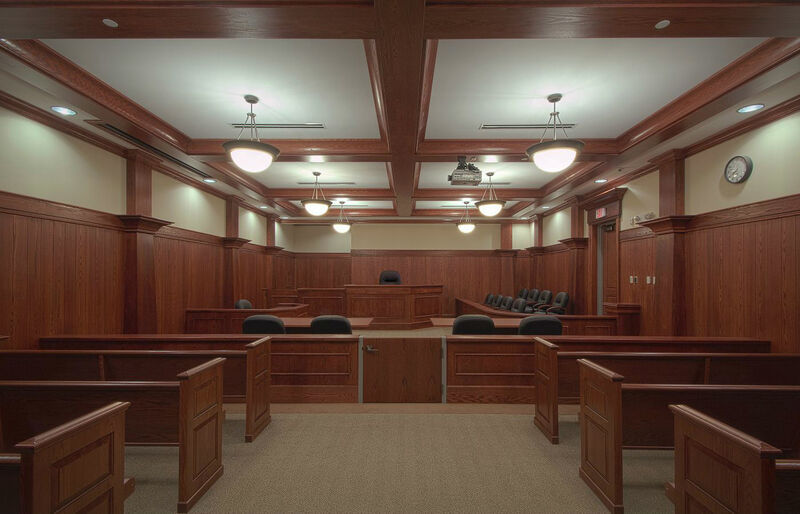 Video conferencing and courtroom recording as well as technological provisions for video arraignments have all been included within the project scope.